My reading has really slowed down recently. I didn't finish A SINGLE BOOK THIS WEEK! I can't remember the last time that happened. Should I regret increasing my Goodreads challenge goal? The author is visiting my local bookstore later this month for a hometown picnic/reading and signing. Doesn't that sound like fun? We don't get many author visits in my little one horse town so I'm jazzed up for this event! I've heard wonderful things about this novel and I'm looking forward to diving in! I reached (and babbled about) the halfway point in Under the Dome for the Summer Readalong hosted by Natalie of Coffee and a Book Chick. I can't help it. Stop judging me! You can read about my sad little slump here. I hope you've all had a grand week! I might be able to understand part of what contributed to your slump now that I've started A Complicated Marriage. It's fairly slow going, at least in the beginning. I hope things pick up - Ordinary Grace sounds like a great way to do it! Yea :/ I think that might be part of it. It's fairly interesting but...I don't know. I don't know jack squat about art and most of the names mentioned mean nothing to me. I'm hoping that it picks up! I read a bunch of William Kent Krueger a few years ago. His stories are always so atmospheric and good. It's really fun that he's coming to your town! We get a few authors to the small town that I live, but not many and not a ton that I am interested in. You must have read some of the book in his series? Wait...does he have a series? I'm going to have to look that up now. I'm thinking crime novels perhaps? Living in the north woods of Wisconsin is great. It's beautiful here. BUT, there are rarely book/author events. I'm probably going to lose my mind with happiness when I go to this one! A Complicated Marriage looks intriguing...and Under the Dome is probably totally wonderful, but huge...right? Wow!! I didn't realize it was so long! Under the Dome looks interesting but hella huge. I wanted to join in but just didn't have it in me, lol. I AM considering picking up Joyland... which seems really scary, but I kind of feel like some King at the moment and it's short and new! It's definitely a biggy. I don't know when I would have gotten around to it if not for the readalong so I decided to go for it ;) I'd like to get to Joyland too. One day. 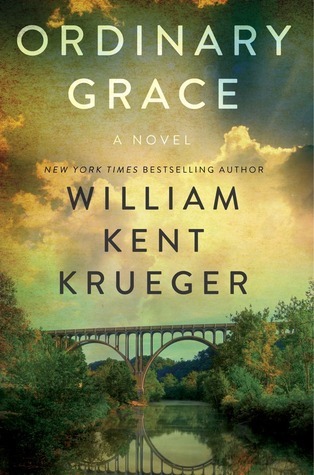 Ordinary Grace looks like one I'd enjoy reading. Good reading choice! Thanks :) I have a good feeling about it! My husband read Under the Dome and was a bit 'meh' about it so I decided against joining the readalong, even though I love readalongs. Reading slump be gone, I command it! I'm nervous about the end of the book because I keep hearing that it wasn't great :/ I hope it's not too awful. LOL, thanks for the command Sam! I think it worked. Voila! 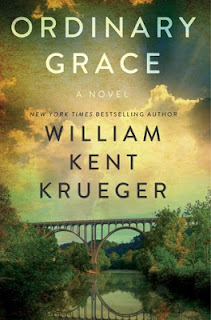 I am hoping to pick up and read Ordinary Grace later this week. I hear it is wonderful. If you have time today pop in by, it is my 4 year blogiversary and I am hosting a big giveaway and a fun post :) Would love to see you there. I popped in the morning to wish you a big congrats! My 1 year blogoversary is coming at the end of this month. But 4 years? That is fab! I hope your little slump goes away soon! Nothing makes the world look a little funny like a reading slump. I have Under the Dome on my Kindle ;) I wouldn't have had too much of a problem lugging it around but I wanted to start reading it as soon as the readalong was mentioned. I have zero patience, lol. I'm sensing a real slump pattern here with a lot of us. We let things get a bit out of control and then the blahs hit hard. We try to control ourselves when it comes to reviews and tours but guess what? So many of us have NO SELF CONTROL when it comes to books, lol. I guess that is why we do what we do. It's time to start working on these issues though! I hope you get over your slump soon! I sympathize; it stinks when that happens. Find something you know you enjoy, and read it for a while -- that often helps me. Thank you for stopping by my Sunday Post today. I hope you have a terrific week! Thanks so much Lark :) I hope you have a great week as well. Happy reading!!! I think I'm the only person in the blogging sphere to not be reading or have read Under the Dome by Stephen King!! The author meetup and picnic sounds fantastic!! Reminds me of the good ole' days when authors would sit and write, while entertaining...oh, like Charles Dickens, Scott Fitzgerald...lol! Completely understand about the slump! I think we all go through that and it's hard b/c we read for fun, for reviews, for downtime, and to de-stress...so what do we do when we can't get hooked in to a book??? 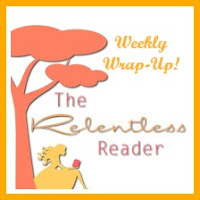 Hope the book picks up and that you enjoy some reads this week! I'm looking forward to the picnic :) For one, I'm rarely able to meet authors. For another now I'm picturing myself lounging around with a glass of champagne in one hand and a canape in the other, ha. Thanks :) I'm hoping this slumpy feeling will be over with soon! OrdinaryGrace has a beautiful cover, one I would definately pick up in a bookshop, even though I never heard of the author. Have a great week and I hope you get out of your slump soon! It's beautiful isn't it? Thanks Bettina! I guess we all do encounter something like that - not reading as fast as we did. Last week, I was able to read 5 books... and after finishing my fifth book, which was a few days ago, I still haven't finished 25% of my current book. Well, as long as we get to enjoy the books, it doesn't matter how fast or slow we read. It's always exciting meeting authors and even more exciting when they come to you. I hope you enjoy the event. Come see my week here. Happy reading! I really am excited :) Thanks Kathy! Jennifer, I think you got a lot done despite your slump. Better to look at what you did do than what you didn't. I'm off to read your review of Frozen in Time. I am also (slowly) reading Ordinary Grace, as that is my Goodreads book club's June pick. Only reason I say slowly is because it is large and I am also reading other books for my blog at same time :) I have read several of the Cork Corcoran series he writes, and have several on my kindle for when the mood strikes. I love his books, but I don't read them one after the other as they are somewhat similar in scenario and I don't want to burn out on him. I have also read Under the Dome and loved it (see my review this week). I am not following you because I see we have a similar taste in books. This will be my first by him and I'm really looking forward to it. Yep, reading Under the Dome for a readalong. It's a fun/crazy read! Geez, that last sentence has typo, I am NOW following you, so sorry!! Ha ha! No no, you clearly said that you are NOT following me, lol. ;) Thanks Rita! The picnic/book signing does sound fun! We don't get many events like that near me either. Enjoy!! Doesn't it? I'm really looking forward to it! I hope I'm not a stammering idiot, ha! Thanks Aleksandra :) I think it's just about over with...whew! I hate slumps. I usually throw out all the must books and pick up some old loves. Hope you recover from your slump soon. The hometown picknick reading signing thing sounds like great fun. Enjoy! Glad you're enjoying Under the Dome! It's not my favorite King but a good one. I think he's a better writer than most people give him credit for. Complicated Marriage sounds interesting. Have a good week! I'm not sure what I'd pick if I had to choose my favorite King. Maybe The Stand? That was a mind bending good time to read ;) You know, I think you're right about his writing. He has a style that is all his own and I happen to dig it! Enjoy the event, it sounds good (and original, too). I wouldn't worry about your reading slump, you've read so much without any issues so far I'd say it'll clear up soon enough (thinking that if you were to experience a major reading slump it would've happened already). I think you're right Charlie :) I'm hoping that this is just a little bump in the road. Thanks for stopping by my blog. You will LOVE Ordinary Grace. I reviewed it if you want to check out my thoughts. You and me both Deb :) I hope to snap out of it very soon! The Janice Van Horne book sounds good. That's cool about William Kent Krueger visiting your hometown. Enjoy! Thanks Naida :) I'm looking forward to it! Given your usual awesomeness, I would not worry too much about the slumping. I hope you escape soon though - slumps are just not very fun! 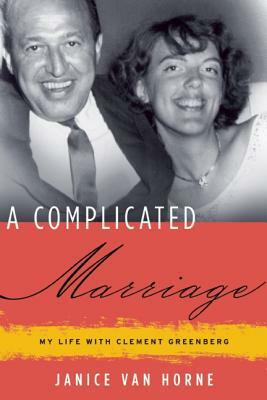 I think I'm gonna try A Complicated Marriage. Thanks, Jennifer, for adding to my sky-high wishlist! Ha ha ;) I hope you like it! As it turns out, it wasn't a great book for me. I love how William Kent Krueger writes .. good story, good writing ... I'll have to pick this title up. You've had a great reading week! I'm in a bit of a reading slump as well! I think it has something to do with spring, I grow restless and can't decide what book I want to read. I have a lot of books lying around with only one or two chapters read. That author picnic sounds really cool! I agree! The weather turns and our minds turn with it ;) I hope you break your slump soon and find something amazing to read! I love the cover for Ordinary Grace. Simply and lovely both! Here is my Monday post. I think it's a great cover too :) Thanks for visiting! I've been meaning to read Krueger for years now but somehow it has happened. Look forward to hearing what you think of his latest. Hope the reading slump passes soon. When that's happened to me I either take a reading break for a few days and do physical stuff outside (or day road trips) or turn to re-reading one of my favorites. Deleting my TBR list has helped as well. I've actually been thinking of doing that again because the last time I browsed through it there were a bunch of books that I don't remember why I added them and they actually didn't sound that appealing anymore. I can see the allure of deleting the TBR list! I'm on a self-imposed library ban. I kept requesting too many books! So I've been compiling a "To request" list on Goodreads for when my ban is over ;) If you bloggers would stop recommending so many great books I'd be thrilled, ha ha. I know. I wish my town got more visits from authors. I'm reading Close My Eyes by Sophie Mckenzie.